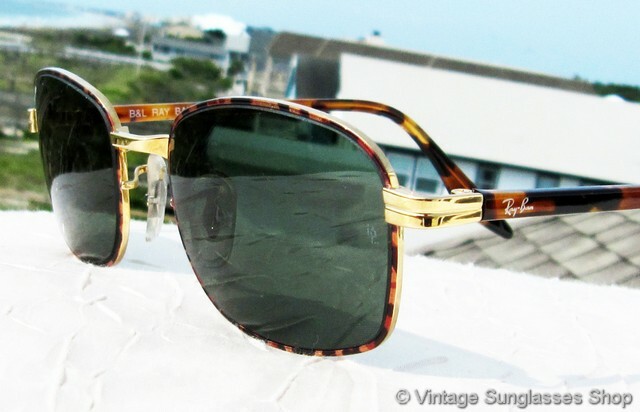 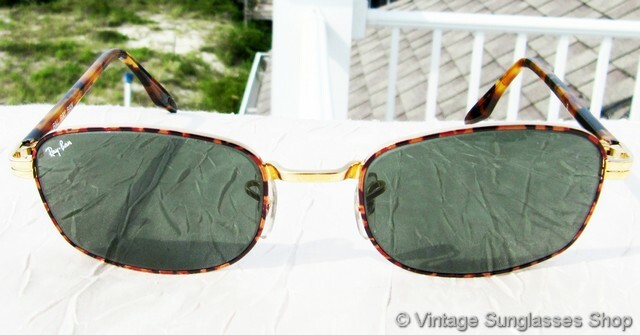 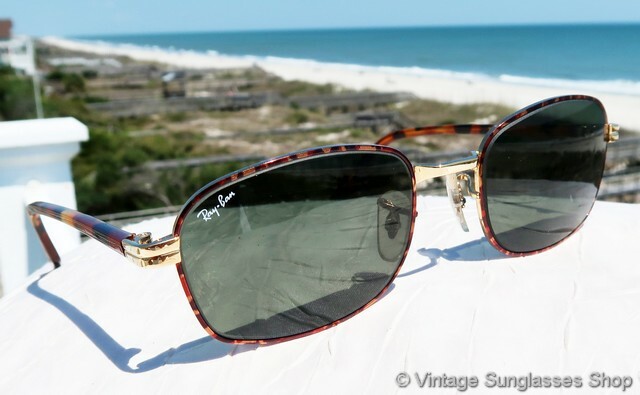 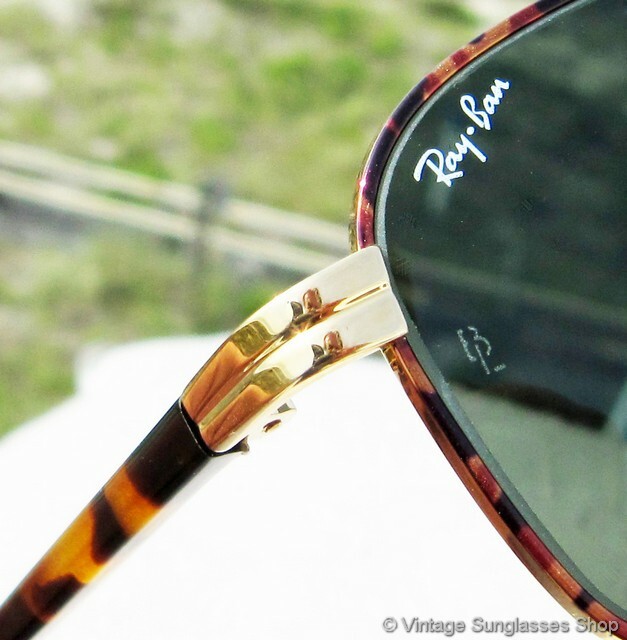 1 Vintage Ray-Ban W2190 Sidestreet Crosswalk sunglasses combine a gold front frame and hinges outlined in a thin band of tortoise, tortoise ear stems, and classic Bausch & Lomb rounded rectangle G-15 lenses. 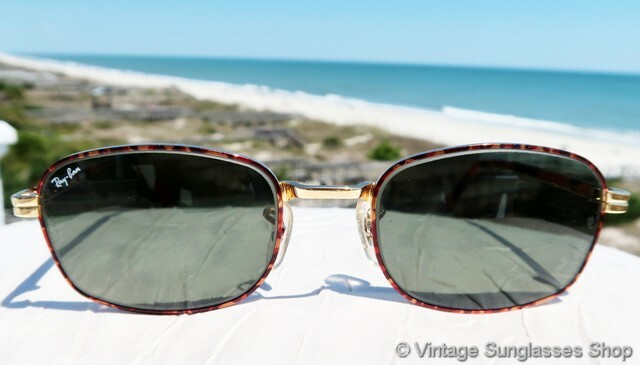 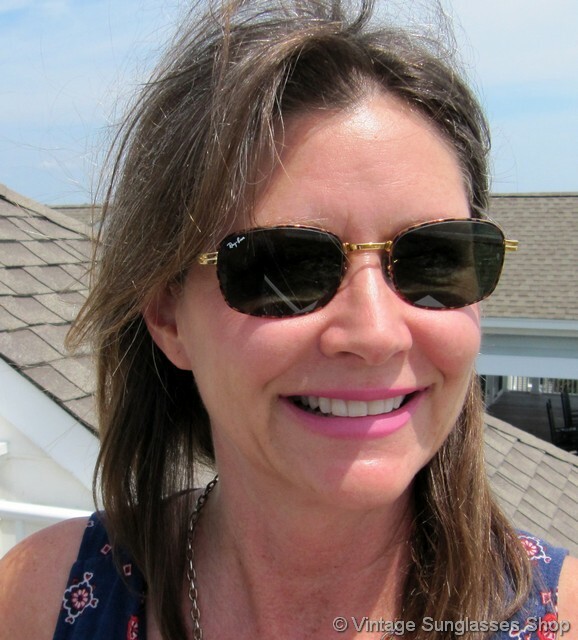 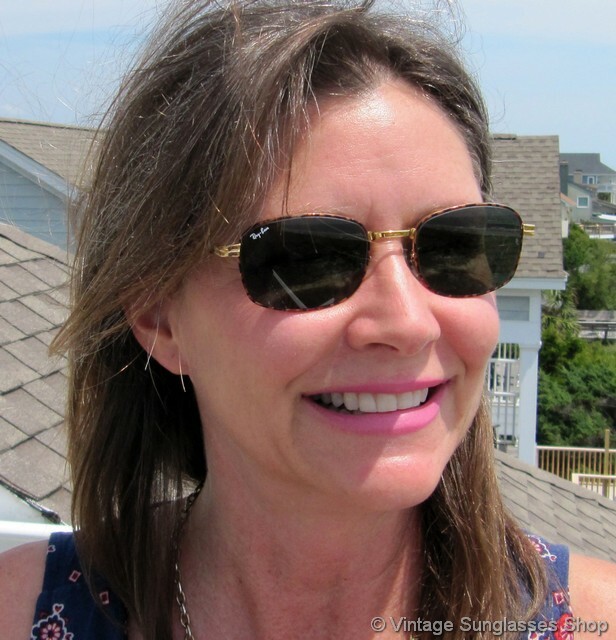 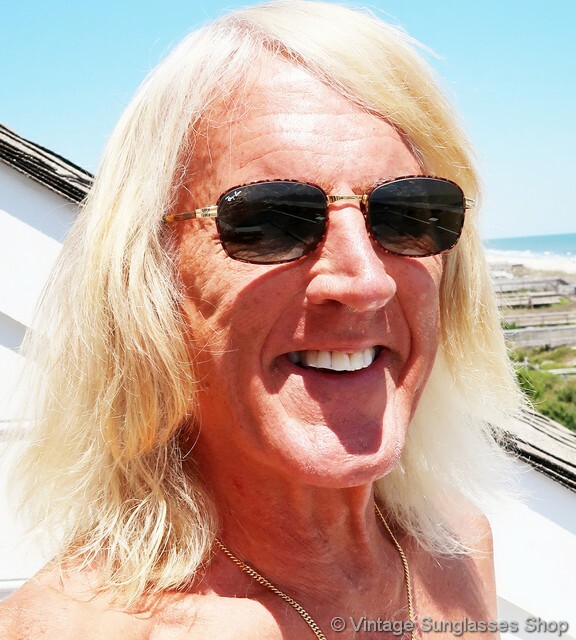 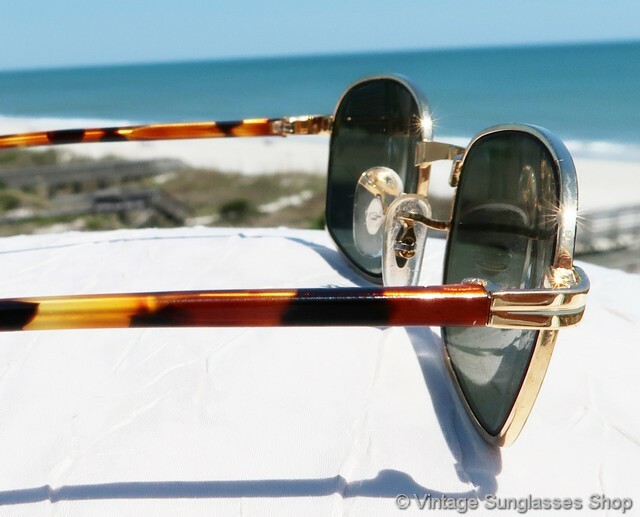 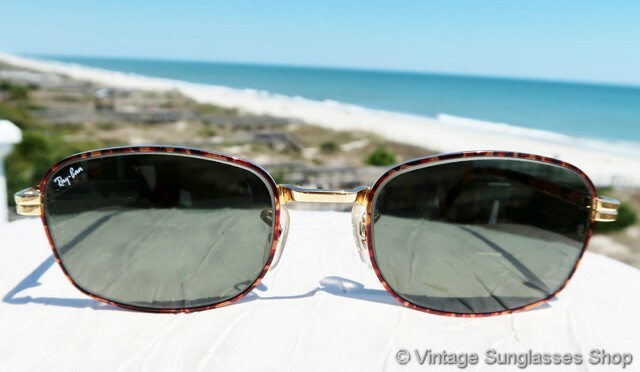 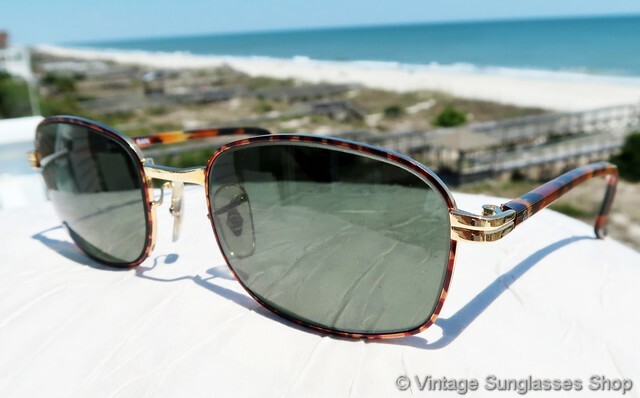 They're cool, elegant, and reminiscent of vintage Giorgio Armani sunglasses, and you'll love the rich tortoise shell ear stems contrasting with the gold along with the front band of tortoise shell that surrounds the lenses. 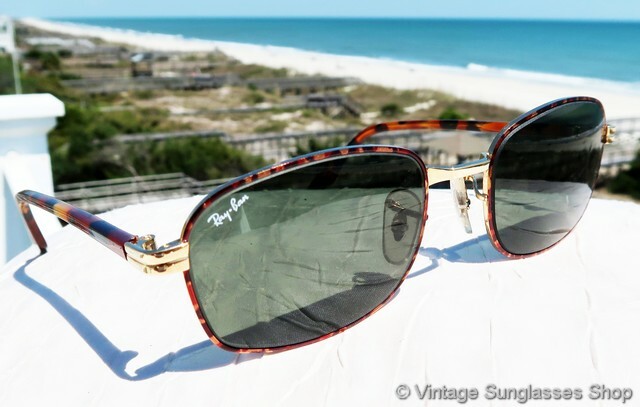 The Ray-Ban W2190 Sidestreet Crosswalk frame is a nice unisex size at approximately 5.25" temple to temple, and the B&L G-15 anti-glare lenses measure approximatley 1.875" x 1.375" at the widest points with right lens laser etched Ray-Ban and both lenses laser etched BL near the hinges. 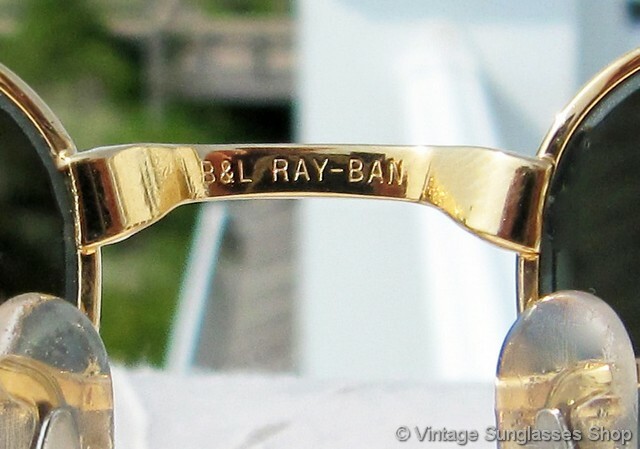 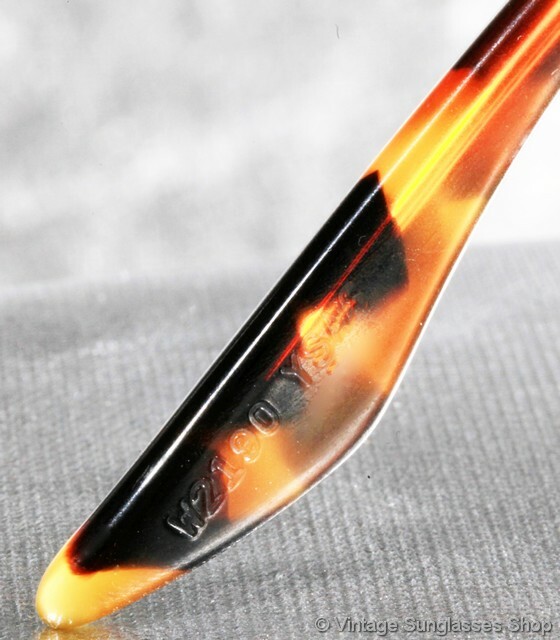 The inside of the ear stem is marked B&L Ray-Ban, the rear of the nose bridge is impressed B&L Ray-Ban in the metal, and on some production one ear pad is impressed W2190 YSAS. 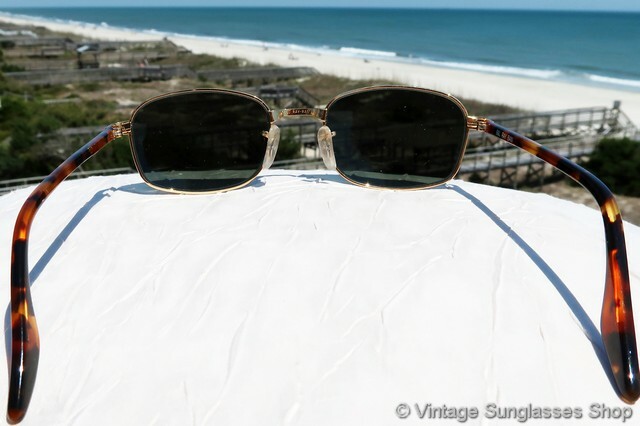 2 Step up another level beyond our already unequaled vintage condition standards with new old stock Ray-Ban W2190 Sidestreet Crosswalk sunglasses in mint, unworn condition.